On Sat 27th Oct Irena and I flew to Dubai for our 2nd honeymoon. We took a desert tour where we blazed over dunes and then dined under the stars while watching belly dancing and nearly having our fingers chewed off by a falcon. The highlight was sitting at the Mango Tree Thai restaurant looking out at the Dubai Fountains and up at the Burj Dubai. Later we took a tour up the Burj. Then Irena left back to Malta, and I flew on to Sydney on Friday 2nd Nov, to speak at iDate Australia. The highlight was seeing 'School For Wives' at the Opera House, and hiking over the top of the Harbor Bridge. Tanya (CEO, Dating Factory) and I won our bet on the Melbourne Cup. On Mon 12th Nov I flew to Vancouver to fly my mother back to the UK. My highlight was flying next to the pilot of a seaplane from Vancouver to Victoria. On Wed 21st Nov mum and I flew back to the UK. I met up with Irena and we attended my nephews wedding at Hemswell Court. It was picture perfect. Then on Tue 27th Nov Irena and I flew to Moscow to study AnastasiaDate. An amazing company. Our highlight was going to the Bolshoi theater and touring the Kremlin Armory where we managed to snap this shot of a 700 year old crown. ...I finally landed back in Malta on Sat 8th December. After seeing richard and tammy get married, and settling mum back into England, Irena and I took off for Moscow for a couple of weeks. Prior to iDate Sydney I paid the Opera House a visit to see School For Wives. Originally the play was a French poem by Moliere from the 1660's. Excellent, and a unique experience! Witness the birth of a new sport. Dune diving. Dubai Mall has an Armani Cafe with a beautiful view. 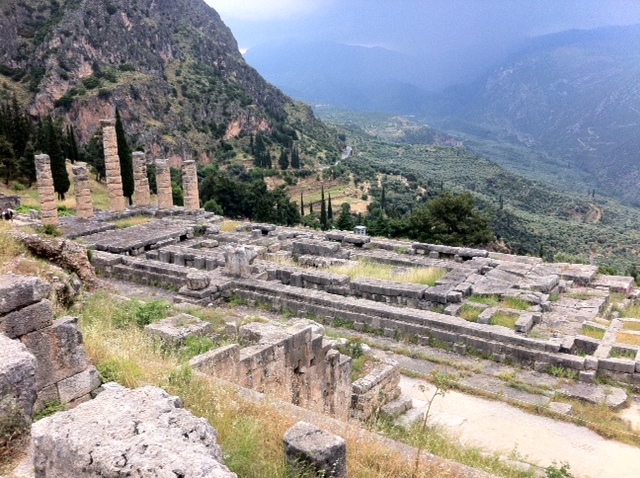 Touring Delphi in Greece was a real treat. It was the heart of Greek politics and culture 2500 years ago. The inspiration for the Olympic games was born in these hills. The Pythian Games. And the most important Oracle was based here in the remains of this temple in our pic below. 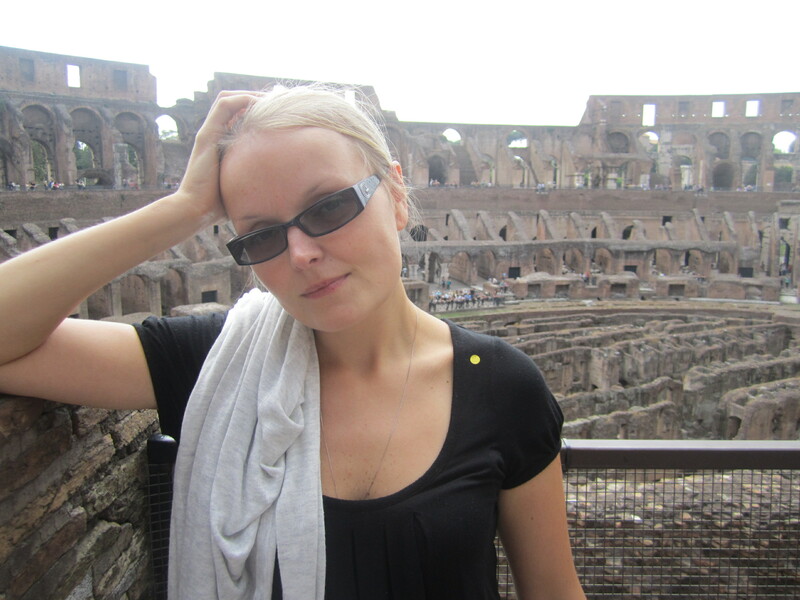 It was a gloriously spectacular site back then with statues, temples, a theater and stadium. 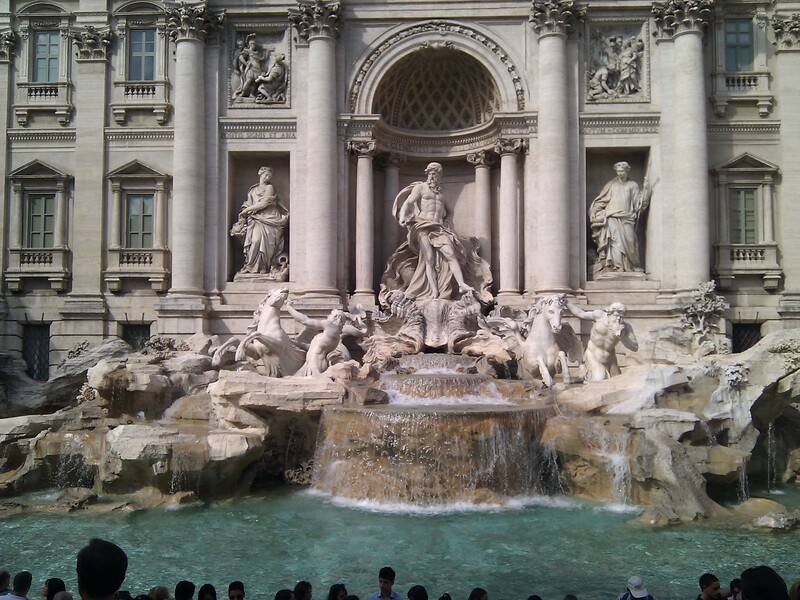 The Trevi Fountain is a must-see in Rome. Perfect for a bottle of champagne just before lunch. (we didn't do that this time, but will, next time). we were going off-island. To Rome. A little birthday trip. Simply the most magnificent building we've ever laid our eyes on. We dined in the Panthenon square at dusk and enjoyed good food, a nice bottle of red wine, and the best service we've ever had. We'll be back one day. This characterful tour guide was just a hoot. What a great character. In early August I paid OculusAI a visit in Stockholm. I took a rainy walk around Stockholm, and discovered a lineup of old classic boats, many of which were 80-100 years old. Some were for sale. The little sign on this poor little boat indicated it was for sale. I think we could afford this one. What do you think Irena? I remember reading and being inspired by the Kon-Tiki story, as a kid. 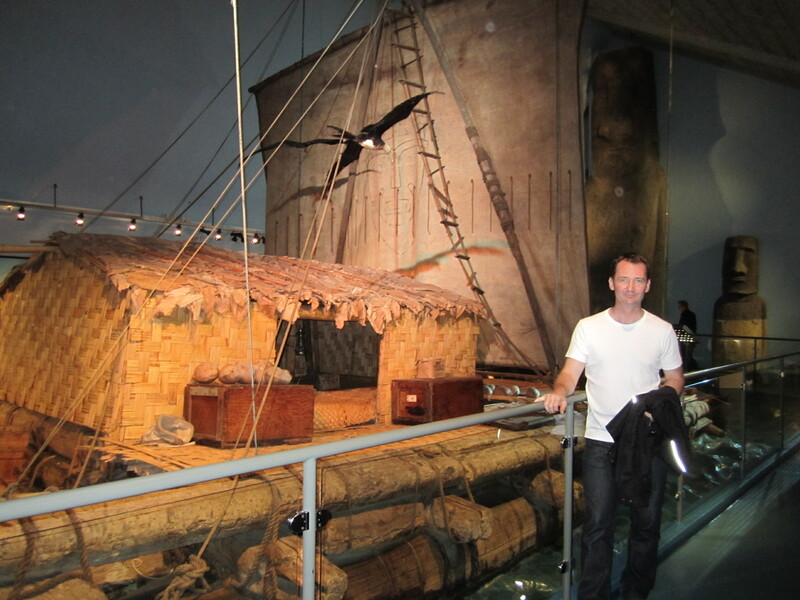 So it was a real thrill to visit the Kon-Tiki museum in Oslo in early August. In 1947, Thor Heyerdahl and his international crew set off from Peru, and landed in the Polynesian Islands 101 days and 4300 miles later. Thor wanted to prove that Polynesia was settled by South Americans using simple balsa-log boats.